For an attractive and superior tile roof installation, the All City Roofing has been the number one resource for 20 years. Our skilled roofers have the right mix of construction knowledge and craftsmanship to install a durable, yet beautiful tile roof to compliment the style of your home. Roof tiling takes the expertise and attention to detail that All City Roofing is known for. 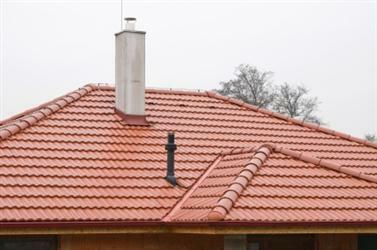 Clay Roofing Tiles offer a low maintenance option as well as have a long lifespan. All City Roofing can introduce you to a number of clay roof styles, differing in color, textures and form. Beside the aesthetic appeal and charm of clay roofs, they are also fire-resistant and help reflect the heat of the summer sun as well as insulate in the winter. Due to the versatility of concrete roof tiles, it is becoming a very popular material for tiling roofs. Concrete tiles could be formed in a multitude of different designs and colors and be made to look like slate, clay, and cedar shakes to enhance a home’s architectural style. All City Roofing is experienced in the proper installation procedures for concrete tile and fiber-enforced cement roofing. The art of installing slate roof tiles is not lost on All City Roofing. Our craftsmen are unparalleled in delivering a beautiful slate tiled roof to the satisfaction of many home owners. Slate shingles provide maximum durability, fire-resistance and protection from the elements, all while adding to the design quality of your home. You can trust All City Roofing to install slate roofs that will be as striking as they are strong.